The following PTO documents are maintained by the SVS PTO Secretary and Treasurer. Links to these documents are below. To request a PDF copy click here. PTO meetings are held monthly from September - June in the main office at SVS. Minutes of each meeting are submitted for review and approval by the board at the following meeting. Once approved, minutes are posted below. For access to meeting minutes, please click below. The PTO budget is established at the beginning of the school year and updated monthly by the Treasurer. SVS PTO is a 501c3 non-profit organization. Click here to access the current budget. 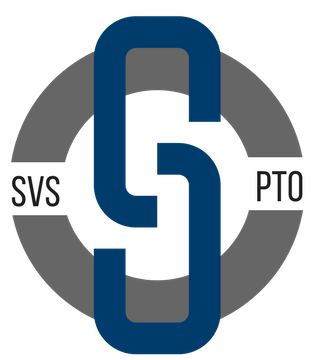 The SVS PTO by-laws are reviewed and updated annually by volunteer members of the board. When questions arise, the board consults the by-laws to ensure PTO matters are handled as documented. Click here to access the PTO By-Laws.